There are a few ways you can transfer apps to your new device whether or not you’ve successfully backed up your old phone. However, it's important to ensure that you’re backing up your app data, so that you can save game progress, access your chat history, mobile browser data, and more. These instructions apply to Android Pie 9.0, Oreo 8.0, and Nougat 7.0 and should apply no matter who made your Android phone: Samsung, Google, Huawei, Xiaomi, etc. Make sure your new device is fully charged, or close to it, before proceeding. The easiest way to transfer apps from Android to Android is by backing up your old device and using the restore function on your new one. You can't restore a backup from a higher Android version onto a device running a lower Android version. Your menu settings might be slightly different depending on your phone’s manufacturer and its Android version. Verify that the Back up to Google Drive toggle is on. If it is, you’re all set. If it’s toggled to off, slide it on and tap Back up now. When the backup is complete, you’re good to go. Now you’re ready to restore your data to the new Android. If you haven’t yet set up your new phone, you’ll be able to restore your data, including apps, during that process. If you already set up your phone and didn’t restore your data, you can reset it to factory settings and start the set-up process over again. Charge your new Android and power it up. Follow the prompts on the screen until it asks you if you want to restore data from another device. 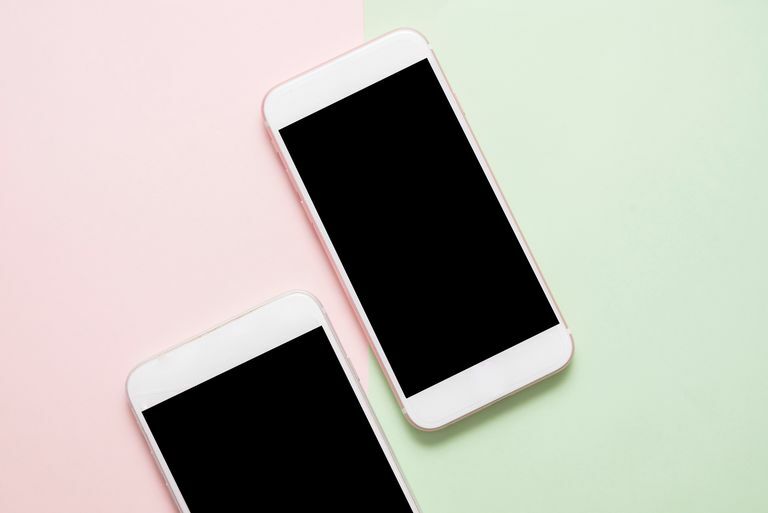 You can always opt to start with a clean slate when you get a new phone, but restoring data from a an old phone makes the transition more seamless. This process will vary slightly depending on your phone's manufacturer, carrier, and OS version. Choose the device you want to restore data from and tap Copy Your Data. Your Android will prompt you to connect to a Wi-Fi network. Make sure it's connected to the same one as your old phone. Next, you’ll see restore options. Choose either A backup from an Android phone (if you have your old Android on hand) or A backup from the cloud (if you don't). Using the same account you’re logged into on your old phone, sign into your Google account. Now you’ll see a list of backup options, which will include your old Android device. Select the correct one (most likely the most recent one) and tap Restore to move all the data and settings from your previous device. Tap Apps to select which apps you want on the new device. While your data is restored in the background, you can continue with the set-up process. If you have the Galaxy S7 or later, Smart Switch Mobile is pre-installed on your device. For older devices, you can download the app from Google Play or Samsung’s app store. You can use the app to transfer data from an Android phone running 6.0 Marshmallow or later to a Samsung phone. To access the app on the S7 or later, tap Settings > Accounts > Smart Switch. For any other phones, look for it in your app drawer. There are three methods you can use with Smart Switch: Wirelessly, USB cable, or external storage (SD card or USB storage). Here’s how to transfer apps using the wireless method, which is the most straightforward. Launch Smart Switch on your new phone. Select Wireless > Receive > Android. Open Smart Switch on your old device. Follow screen prompts on your new device. Plug in your old phone’s USB cable. Connect that cable to a Samsung USB connector. Plug the Samsung USB connector into your new Samsung phone. Launch Smart Switch on your old phone. Adjust the USB setting on your old phone to Media device (MTP). Follow screen prompts to transfer apps. Finally, to use the external storage option, insert the SD card or connect the phone to the USB storage device that contains the apps you want to restore. Follow screen prompts. Samsung also has Smart Switch apps for Windows and Mac. Download and launch the desktop app, connect your new phone to the computer, and follow the on-screen instructions to transfer apps and other data. How frustrating is to fire up a new phone, open your favorite game, and find that your progress has been erased? Fear not, for most games in the Play Store, you can easily back up game progress and bring it with you to each new device. The most common way to backup games is using an app called Google Play Games. Compatible apps have a green gamepad icon on their Play Store listing. Open the app, tap the three-dot menu on the top right, then Settings, and toggle Sign in to games automatically to the on position. Once you've transferred your games to the new phone, log into your Play Games account to sync progress. If your game is not Google Play Games compatible, you’ll have to back it up separately. Check the app’s settings to see if there’s a backup option. For non-Google apps, you’ll want to double check that those apps are backing up to Google Drive. For instance, you might want a messaging app to save your chat history. Most popular apps will have this option. If you save passwords or bookmarks in Chrome or another mobile browser, be sure to sign in on all your devices so that your data syncs properly. Go into the browser settings and sign in if you’re not already.